Summary: TECPOLUK is a digital marketing company that is now offering mobile app development in Newbury/Berkshire. The company is developing business mobile apps at economic rates in order to serve the local small businesses. TECPOLUK – Headquartered in Newbury/Berkshire is a company known widely for their services in Internet Marketing, Web Design and Business Mobile Apps Development. As of now, the company is proud to announce their new low-cost mobile app development service for local small businesses. According to the company, Mobile App Development for Small Businesses can be rather expensive, which deprives small business owners of this profitable business expansion opportunity. Mobile apps are known to be beneficial for small businesses in more ways than one. As apps continue to dominate the mobile web, a market trend study conducted in 2016 suggests that mobile web users spend 86% of their online time using apps. By having well-designed mobile apps, small businesses are exposed to an entirely new realm of potential customers. Businesses can interact with their clients efficiently and provide a personalized experience, which increases customer loyalty. Mobile apps for businesses are a globally recognized factor for increasing customer engagement, generating repeat business and ultimately increasing a company's yearly revenue. 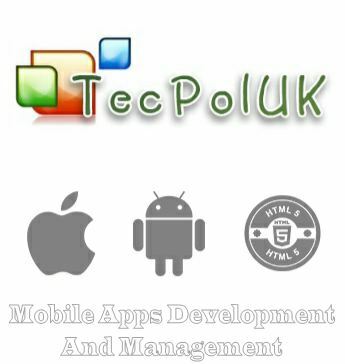 TECPOLUK is now reportedly offering their nominal yet extremely cutting-edge mobile app development service in Newbury/Berkshire. The company especially wants to help small business owners who are looking for effective ways to promote their business and reach out to new customers ever day. A spokesperson for TECPOLUK made an official press statement to address the matter and to speak about the company's work. "Here at TECPOLUK, we are an extremely customer oriented company and customer satisfaction is our top priority. With our highly-skilled professionals who excel in mobile technology, we create cutting-edge eCommerce mobile apps to help business owners grow their companies. However, not all businesses can afford a high-end company to create a mobile app for them. We here at TECPOLUK are now offering a cost-effective solution for small business owners to get a seamless and dynamic app designed for their business," stated the company spokesperson. He further added "As an app development company in Newbury/Berkshire, we consider it our job to better serve the small businesses in our area and help them grow. Mobile apps have proven to be extremely beneficial and mobile marketing is becoming one of the top most effective ways of promotion for businesses. With our mobile apps, we can help business owners generate more revenue, send promotional offers to their clients directly on their smartphones and much more. The benefits are limitless."